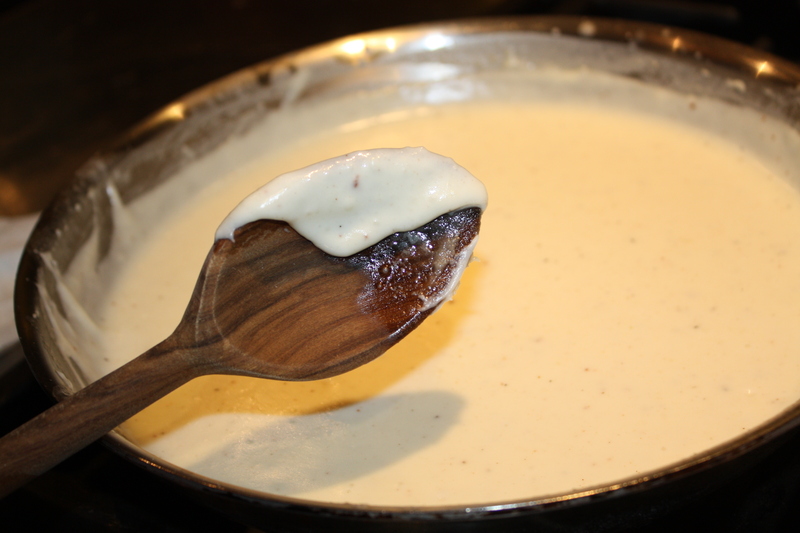 Béchamel sauce is one of the “mother sauces” in french cuisine. 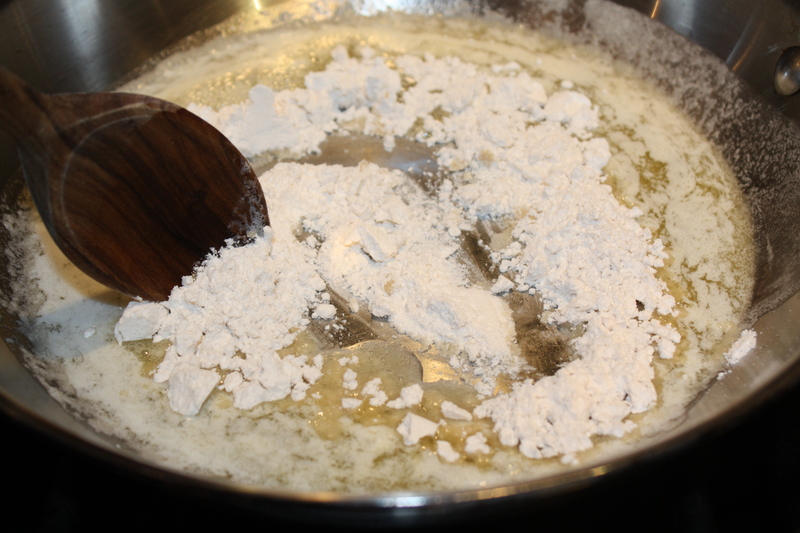 It is traditionally made by whisking scalded milk (milk heated up to 180º f ) gradually into a white “roux” (look for recipe under cooking basics). It is mainly used in French, Italian and Greek dishes. Also, used as the base for other sauces like Mornay sauce, which is Béchamel with Gruyére cheese or any other cheese. Croquettes, lasagnas, some french sandwiches among others, are some of the recipes that include Béchamel Sauce. This is my version of Béchamel sauce. 2. Meanwhile, pour milk and heavy cream into a sauce pan and heat. Do not let milk and cream to boil, just warm up. 3. Whisk scalded milk-cream mixture into roux. 4. Add seasonings and use immediately. Roux (pronounced “ru”) is a thickening agent made up of wheat flour and fat. The flour and fat are cooked (usually same amount by volume), to eliminate the taste of raw flour in the dish in which its going to be used. There is a broad color spectrum of roux that ranges from white, blond, brown, brick and black depending on the amount of time you allow to cook and which fat you are using. The fat used could be butter (preferably clarified butter), vegetable oil (which has a higher smoke point than butter and is used for darker roux) or lard. I use butter without clarifying it if I don’t have the time. Some sauces just call for a thickening agent without flavor so a light roux should be added. Others call for some flavor and/or color, so a darker roux is prepared and incorporated into de recipe. 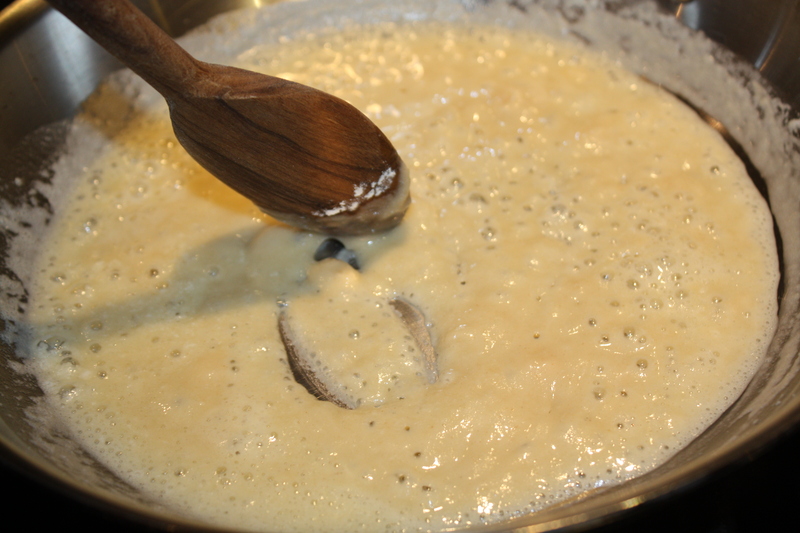 Béchamel Sauce is one of the “mother sauces” in french cuisine which calls for roux. It can also be used to thicken soups. This is a basic technique everyone who likes to cook should learn. 1. In a medium skillet melt the butter over med low heat. Do not brown. 2. Add flour and stir with a wooden spoon until fully incorporated and desired color has been reached. 3. Follow instructions of the recipe in which you will be adding the roux.